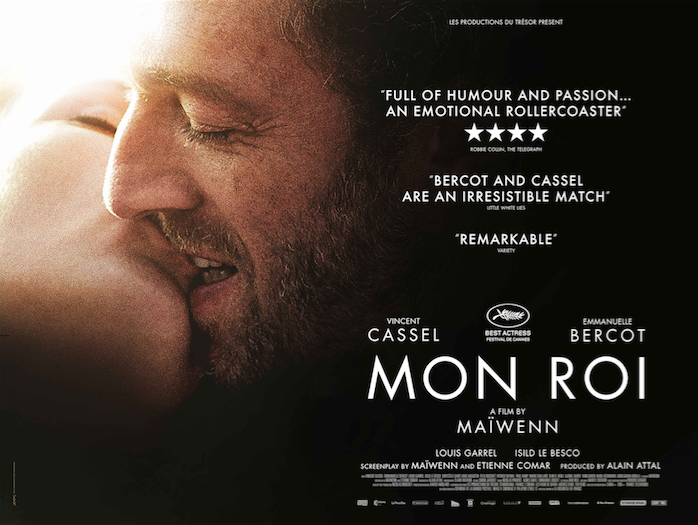 Directed by Maïwenn, and starring Vincent Cassel, Emmanuelle Bercot, and Louis Garrel, MON ROI tells the story of Tony, who is admitted to a rehabilitation centre after a serious ski accident. Dependent on the medical staff and pain relievers, she takes time to look back on a turbulent relationship that she experienced with Georgio. Why did they love each other? Who is this man that she loved so deeply? How did she allow herself to submit to this suffocating and destructive passion? For Tony, a difficult process of healing is in front of her, physical work which may finally set her free. 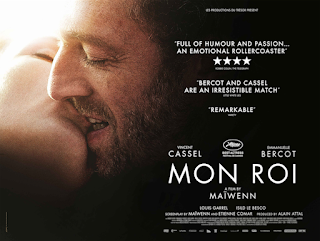 The film was nominated for a raft of César and Lumières Awards, with Emmanuelle Bercot winning the Cannes Best Actress award for her role as Tony.